Remembering a charity in your will is very simple, so once you have looked after your friends and family please consider leaving a life-changing gift to BTRC. Consider leaving a gift in your will to our campaign and help us to find a cure. By remembering BTRC in your Will, you will leave a lasting legacy of hope for thousands of brain tumour patients and their families and support vital scientific research into finding a cure for this devastating disease. 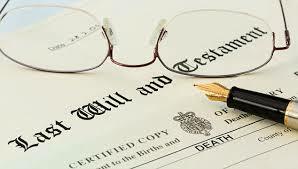 Your Will is an important way of looking after the future of your family and friends. Knowing that your loved ones’ future is secure is reassuring. But did you know that most charities wouldn’t survive without gifts as a legacy? Brain tumours are devastating. On average, 16,000 people (children and adults) are diagnosed with this life threatening condition every year in the UK. Brain tumours are the biggest cancer killer of the under 40s and mortality rates are increasing. Families are being devastated – the average five-year life expectancy for brain tumour patients is less than 20%, while across all cancers it’s 50%. Yet it is woefully underfunded, receiving just 1% of the national spend on cancer research in the UK. So can you help? Please consider leaving a gift in your Will to BTRC to help us eradicate brain tumours once and for all. We recommend you consult with a professional solicitor who carries the appropriate experience for all the formal advice regarding the writing of your Will and leaving a legacy to charity.